With so much variability in drop quality and performance, I never recommend to my patients to buy just artificial tears, but always encourage the use of high performing products. My brands of choice include Systane, Refresh, Soothe, Blink, Genteal, and Theratears. But even though these companies make very good, high performing artificial tear supplements, for some patients their eyes are still irritated and uncomfortable within even just a few minutes after dosage. This is because artificial tears just aren't made to last on the eye's surface -- in fact water-soluble molecules common in over the counter artificial tears are usually gone from the ocular surface after just 2 minutes of being on the eye. Researchers have been working for years to find a molecular make-up to keep moisturizing eye drops on the eye longer, but without blurring up your vision or creating stinging or discomfort. In 2002, Allergan's Restasis was one of the first eye drops on the market to present a good solution -- an ophthalmic emulsion drop that combines oil in water to increase the adhesion of the drop to the ocular surface. Ocusoft (Novagali Pharma) has been a leading innovator in the field of dry eye; their lid scrub products are my go-to for improving meibomian gland dry eye issues. Researchers at the company have taken the success of the Restasis emulsion platform for keeping moisture on the eye longer and integrated it into their new artificial tear: Retaine MGD. 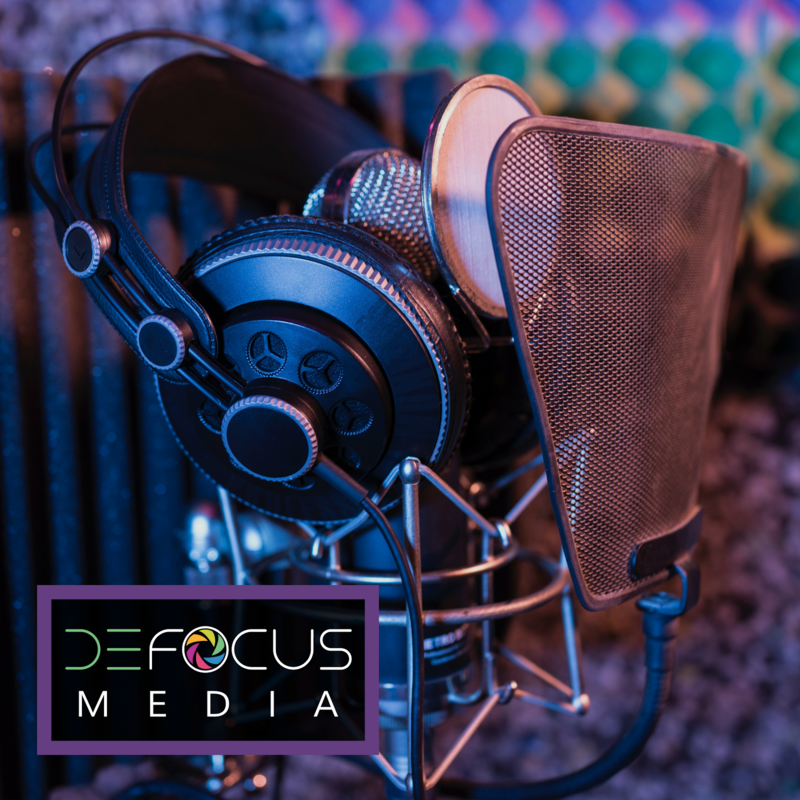 The drop has been available for a few years, but was difficult to come by since it was made in France and only available for purchase through your doctor or the Ocusoft website. With a nationwide roll-out earlier this summer, you can now find this great artificial tear at your local pharmacy and on Amazon. So what makes Retaine MGD so special? Cationic Ophthalmic Emulsion -- Not to get too heavy into the science, but if you want to get something to last longer on the cornea, you need to find away to get the moisture molecules in the artificial tear to stay attracted to the corneal surface for a long time, instead of just blinking right off like most artificial tears do. The key is in electrostatic molecular attraction -- the corneal surface has an overall negative ionic charge, so the Retaine MGD emulsion is formulated with a positive molecular charge to "stick" to the surface. Opposites attract- it is a law of the universe. Lipid-Stabilizing Molecular Make Up -- This drop is called Retaine MGD for a reason. MGD stands for meibomian gland dysfunction, the most common cause of dry eye. The meibomian glands are oil glands that secrete the top-coat of the tear film, slowing evaporation of your mostly water-based tear film off of your eye. In meibomian gland dysfunction, the meibomian oil glands are faulty, meaning that the tear surface is unstable and can quickly evaporate. Retaine MGD is formulated to help support and reinforce your natural lipid top coat, helping keep your own tear film on your eye longer! Preservative Free -- Preservatives are great to kill bacteria and pathogens, but what is toxic to bacteria is also toxic to your eye. Preservatives are the main source of burning and stinging for most people when they use OTC eye drops, and the more you use a drop, the more toxic preservative you are exposing yourself to. Preservative free drops reduce this irritation, and make it safe to use the drops as often during the day as you need without causing dryness as a side effect of your eye drop use! Long-Lasting but Not Blurring -- When you insert this drop, you will notice it is quite thick. But amazingly this thickness does not result in persistent blurry vision. This is because the ionic charge of the molecular makeup causes Retaine MGD to spread evenly over the ocular surface as you blink, and then stay evenly spread in between your blinks. The effect is a noticeable feeling of comfort, without the blurry vision induced by similar thicker drops like gel artificial tears currently on the market. Like all products, Retaine MGD isn't without its drawbacks. With the benefit of being preservative free comes the downside that the drop must be packaged in single use vials to prevent contamination. Single use vials can be difficult to handle for people that struggle to put in eye drops or have a hard time squeezing the small bottle to get a drop to come out. The drop is also quite thick, so when I use it I find that I have a good deal of eye drop left in the vial after I have put a drop in both eyes, but there is no way to recap the vial or store it for later use. 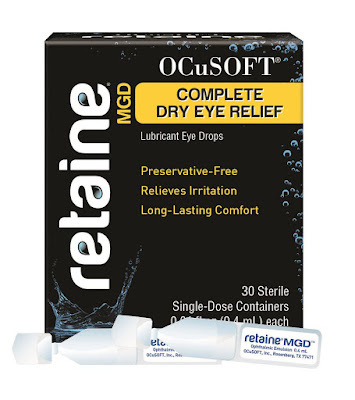 I would definitely recommend Retaine MGD for patients that experience dry eye regularly. It works great for high demand environments like people that are all day computer users or that have to fly often for their jobs. If you have tried artificial tears and feel like they don't work for you, then you need to try Retaine MGD before you throw in the towel. This drop feels amazingly comfortable on the eye, and it can provide much longer relief time than similar over the counter products that aren't gel-based. Remember, even though Retaine MGD has a great contact time and moisturizing effect, it does not in any way change your personal body chemistry or your tear film production. Restasis is the only prescription dry eye treatment on the market that can increase your natural tear film production; Retaine MGD is an over the counter moisturizing agent. If you are looking for a good over the counter product that could help solve your issues, put down the Visine and try a high quality, long lasting product like Retaine MGD. But if your symptoms of dryness and discomfort persist, then it is time to seek you eye doctor's help in what the available treatments are for more aggressively addressing your dry eye issues. Disclaimer: I am in no way affiliated with Ocusoft or receiving any benefit for posting about their products here. Its a very useful blog for me. I like reading this blog. Thanks a lot for sharing. Keep sharing. The vials is now re-cappable so you can use the leftover another time. Great product. My patients swear by it. You can now recap the vial so it can be re-used later. Thanks for the update! That is such a huge improvement to the design because the vial had way more drop than any eye could hold with one insertion. It's a fantastic product. I have severe dry eye. I have had a small surgery that didn't help. I now use Retain and it helps me more than any other drop on the matket. Dr. L. Is this product safe for use in dogs? Have dog with dry eye, under treatment, but having this as a fall back, or for travel would be handy. I'm not a vet, but typically an eye drop safe for humans would be safe for dogs as well. You can always get your vet to look at the ingredient list and give it a thumbs up!